A quadrangled story about shades and variations in co-dependence and sovereignty, inspired by a musician (John Lennon), a theorist (Henri Lefebvre), an author (Halldor Laxness) and a demented ruler of Rome (Caligula). Mindgames is constituted by four parts – ordered in alternating sequence – to form thirteen chapters in total. 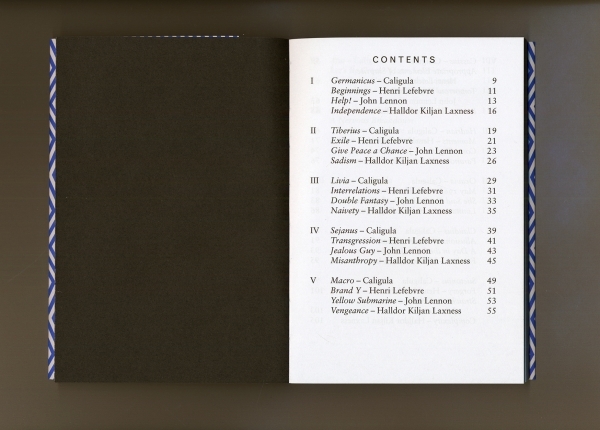 Each of the four sections holds a biographical account of its subject: Caligula, Henri Lefebvre, John Lennon and Halldór Laxness. The chapters can be read separately, as they have been conceived to be independent wholes, forming biographies that present portraits of associations rather than particular statements about individual lives. The text, however, is constructed to alternate rhythmically between the main motives. The motives in turn produce variations on particular themes as they modulate into different parts within the totality of the work as a whole. Mindgames was conceived as a way to enjoy information in the tradition of autodidacts of the past – but in a style which is commingled with a reverence towards traditional modes of archiving the world. 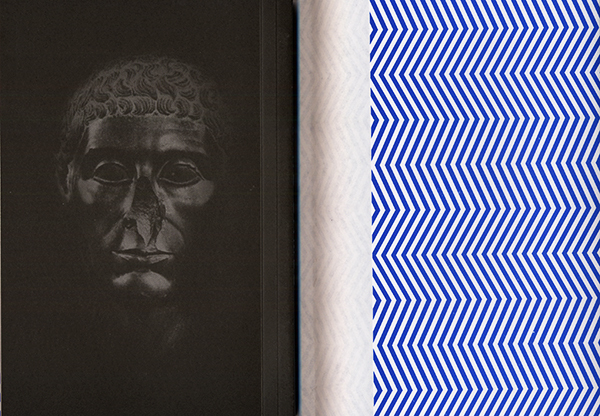 Published in collaboration with Werkplaats Typografie. Designed by Noah Venezia, Werkplaats Typographie, Arnhem / ArtEZ Institute of the Arts.